Millennials can be difficult for many brands to reach – and if you want to stay in business you need to reach them. The secret is to go where they are. According to eMarketer, 71% of people between age 18 and 29 are actively using Snapchat. This new and rising platform can be an incredibly powerful tool for brands to reach people on a personal level. 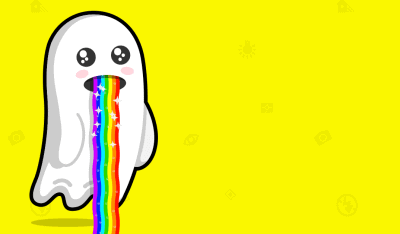 Here are some of the top Snapchat brand campaigns and what you can learn from them. Do what they do and you just may be able to seize the day. McDonalds started using Snapchat to bring some new life into their standard celebrity endorsements by offering a behind the scenes look into their lives. One such example was snapping pictures from behind the scenes of a commercial they were filming with LeBron James. Fans were already used to seeing this kind of endorsement, but utilizing the in-the-moment feel of Snapchat, they brought new life to their ads. Take away: Show your fans what is going on behind the scenes. In a world that is more and more online, people demand transparency, and Snapchat is a great way to give it to them. Send some snaps of things that the public normally wouldn’t get to see to engage your fans. For more ways to keep your brand on people’s minds check out 5 Ways For Your Brand to be Remembered. There is no doubt that beer companies do an excellent job with advertising and social media campaigns, and Snapchat is no exception. Heineken used Snapchat during Coachella to send out secret messages to their followers. These exclusive messages led their followers to surprise shows throughout the festival canada goose coats with faux fur https://www.canadagoosestorevip.com Canada Goose chilliwack parka outlet discounts. This kind of exclusivity is extremely effective because it makes fans want to engage. The clever snaps left fans wanting more and trying to figure out the answer to their riddles. The fans were thinking about them more often and as a result were choosing the Heineken brand over others. Take Away: Provide exclusive opportunities to your 9Apps Download followers to keep them coming back. Consider offering special discounts or content only available to your Snapchat followers. They’re famous for snapping photos from surf competitions, but their most successful campaign was the autographed selfie. They sent a snap to all of their fans with a picture of Nat Young, 2013 ASP Rookie of the year, which said, “I’ll snap back an autograph.” People responded and were extremely pleased when they received an autographed selfie back from Nat. Take Away: Fans love personal contact from brands. It makes them seem more real and more personable. As a result they are more likely to interact with those brands, and that means more exposure for you. Give fans an opportunity to interact with you on a personal level by setting up similar events. Building a following on Snapchat is difficult when you are new to the platform so it is essential to use your other social media accounts to bring followers to Snapchat as well. With Snapchat as such a popular growing social media platform it will continue to be more and more important for brands to start using it. These brands will need to start getting creative – Snapchatters are extremely sensitive to overt advertising on the platform. If brands can provide their fans with the exclusive content that they want, they can successfully build a following and increase their bottom line. For more on social media check out last week’s post: 3 Lessons Learned from Awful Social Media Blunders or contact us for more info.